The article that follows was published in the Door and Access Systems magazine newsletter last week in the USA. It provides some cautionary advice for anyone who has plans to promote their business using additional domain names - it's far from short but well worth a read. 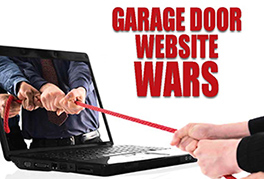 "Two garage door dealers in Idaho have been battling over ownership rights of a website domain name. The fight went all the way to Switzerland and the World Intellectual Property Organization. WIPO has now issued a final resolution to the dispute. We have all the details, plus some potent web marketing lessons for all garage door dealers". Read the full story here and read some other interesting news items from across the pond here.